You must make reservations at least 5 minutes in advance of the time at The Iron Room. Parking is located adjacent to the building. In addition to surrounding streets. The Iron Room is the perfect place for hosting an intimate gathering. Whether it be a wedding shower, bachelor or bachelorette party, office or holiday party, we can accommodate up to 40 people seated, or as many as 60 for a “cocktail style” party. Total buyouts or private dining room available. 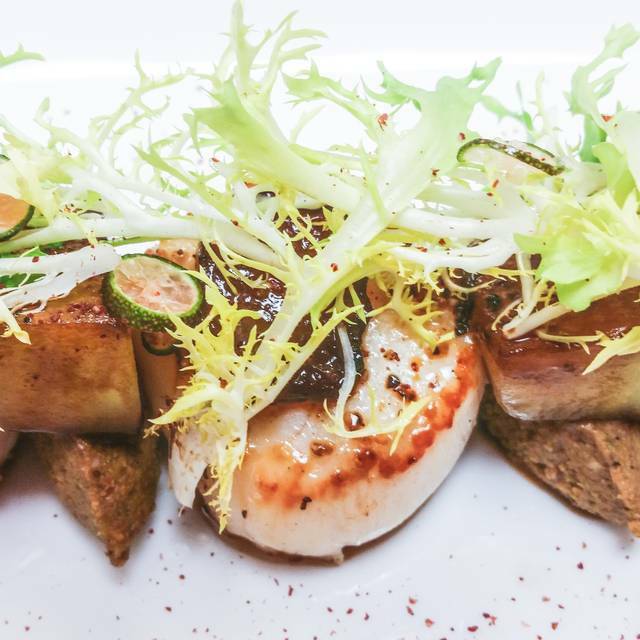 The Iron Room features globally inspired plates created by Executive Chef Kevin Cronin using sustainable local ingredients. Paired by our expert service team with over 300 hand selected spirits, a Wine Spectator "Best of Award of Excellence" list and rare craft beers. Complete with masterfully crafted cocktails by one of the cities most innovative mixology teams. Chef's menu changes based of what is fresh and available, but expect to find favorites like the Truffle Mac & Cheese with a signature cheese blend finished with truffle oil and topped with crisp bread crumbs, local day boat scallops, BBQ miso glazed octopus, organic fried chicken with local honey and our all natural 20oz cowboy steak. The Iron Room also offers a full gluten free and vegan menu. Tap Takeovers, whiskey and wine dinners and Chef Kevin's 15 course pre-fixe menu. This place has it all... Great selections of Bourbon and Wine. If you love a good cocktail, they have some very creative and delicious options. Creative and delicious food prepared by Chef Kevin . Amazing date spot in Atlantic City. Erin our waitress was informative and funny. Brian the bartender made the best cocktail I’ve ever had (the last word). 5 stars all the way. The Iron Room was so over-rated. It was way over priced and the food was awful. I ordered the bouillabaisse. It had three clams, the smallest shrimp I have ever seen, a very small piece of fish and 85% potato’s. It was such a disappointment! Absolutely fantastic meal in a great restaurant away from the touristy vibes of the Boardwalk and casinos. Everything we had was amazing, including the pierogies and the udon truffle mac and cheese. Our server Jennifer was awesome and the specialty cocktails are well worth it as well. Will certainly go back! Nice place for cocktails and wine. Very small and loud in the dinning area. 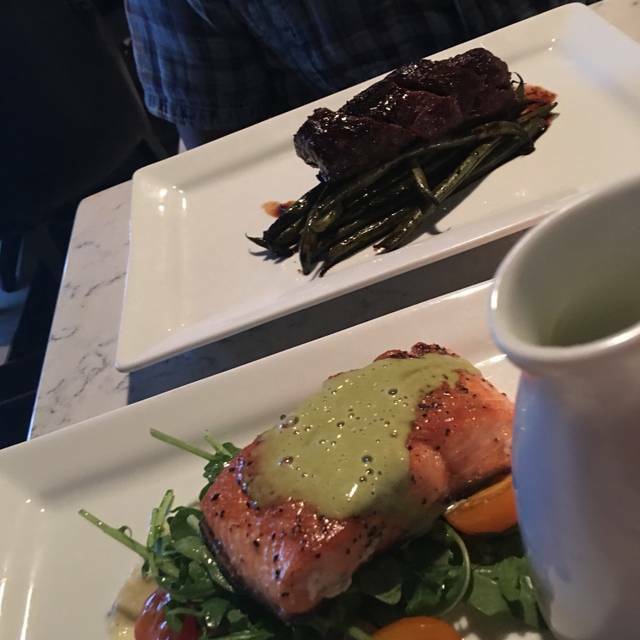 We tried several items on the small plate menu -- yes, they were small! Burger and hand-cut fried were good. May try some specials next time. Small portions and over priced... food wasn’t that wonderful. Drinks were great though. Worth at last one visit because the inside is so intriguing, but probably not worth a return visit unless you're into bourbons. 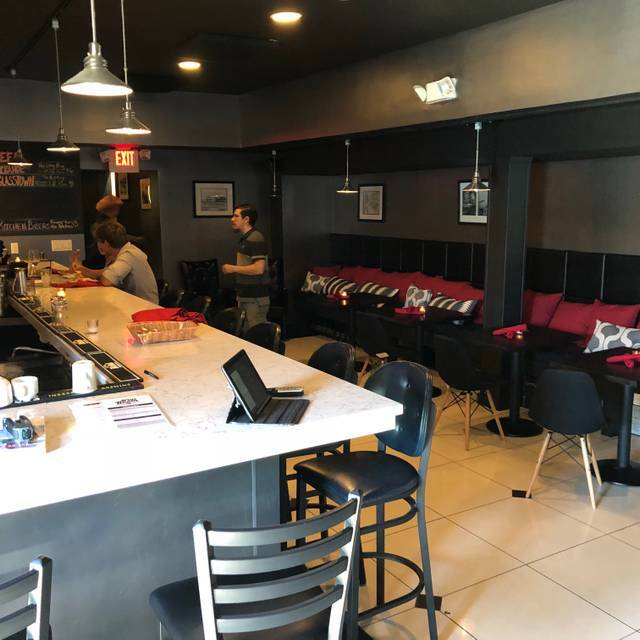 Looks like a dive from the outside, and parking is a problem, but the inside of the restaurant will transform you into the middle of a very old wine store, with racks of bottles displayed/stored on one wall, and a large cooler on another. Went for Restaurant Week, and although we heard our server tell another table that they were offering their best, most popular items on the RW menu, we weren't overly impressed. The udon mac and cheese was the best thing of our meal. 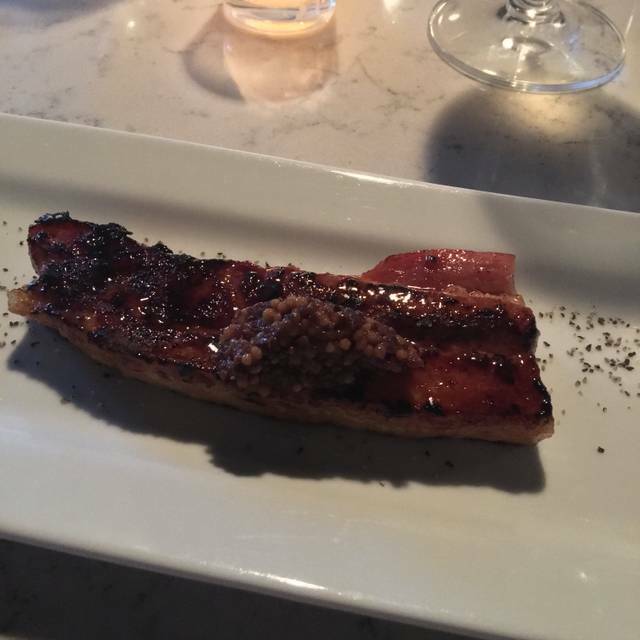 My bacon was one VERY thick slice of nicely charred bacon, but when you get right down to it, a piece of bacon has streaks of pure fat, or streaks of very tough meat. 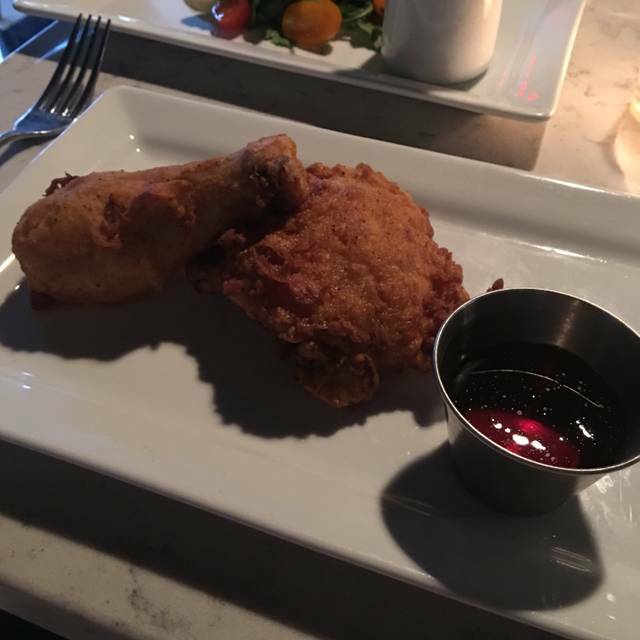 My fried chicken dinner was just that -- four small pieces of the requested dark meat on a plate. No garnish, no sides. And no seasoning in the coating of the chicken. I ordered a Veg. to go with it, and it was a very overpriced ($12) artsy display of a few vegetables, more an art project than something good to eat. My husband had the chimichurri hangar steak, good, and cooked rare as requested. Dessert? Meh. Not bad at all, just nothing that was restaurant-impressive. SO, overall, we were pleased with our experience, but it was not so exceptional that we would choose to go back. Room was tight fit. Heard every word of customer conversations at tables near us. Food was edible. Like bread with meal. It wasn’t part of experience. Took long time to get check at end meal. The venue is very small with limited seating, so elbows are always banging into others. Discrete conversation is impossible. We were initially seated in a dark, claustrophobic corner. We couldn't even read the menu. Sadly, another couple was seated there later, also complained, but no other table available. Personally, I would not have stayed. There should not be a table in that spot. 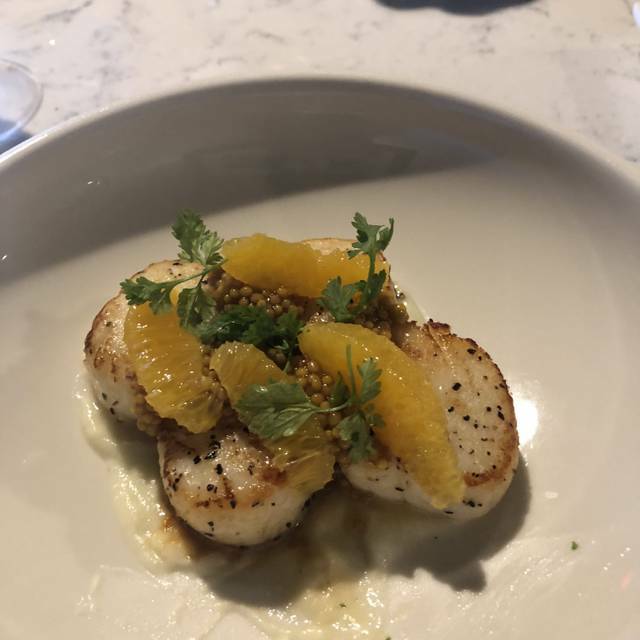 We went during restaurant week, and my entree was not the best food I've enjoyed there on other visits. It’s a nice small cozy restaurant. It’s seems designed for romantic date because the lights are dim and candles on the table. It’s low noise and the food is elegantly presented. The food was delicious, but they didn’t have a lot of choices on the menu. I really liked the croquets as an appetizer and the udon Mac and cheese was good. I had the steak and asparagus. Fabulous inventive food and drinks. Waitstaff is obviously excited about the product and it shows in their service. Can't wait to go back. We had an amazing first experience at the Iron Room!!! The udon Mac and cheese is to die for. The staff were so kind and personable. I can’t wait to go back! Read about it in a magazine and wanted to try it. Glad we did! Will be back with some whiskey loving friends. This is one of our go to spots. As a local, I get to enjoy this gem all year long and it never disappoints. Food and service was very good.Drink prices way too high for venue. Loved the intimate ambiance and. Service was great. 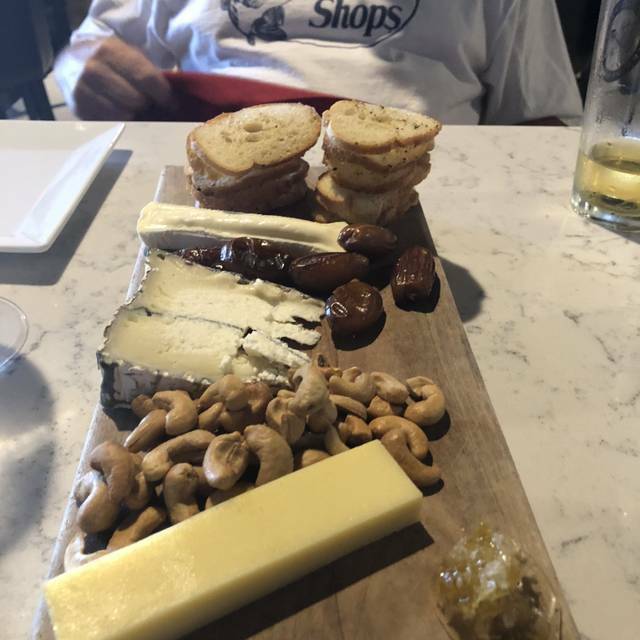 Unfortunately, the food and cocktail were overpriced for the portion. Martini glass small in size. Ordered lamb chops. Only 4 and small in size. The star of the plate was the potato side and dry string beans. I thought I was paying for the lamb chops? The bouillabaisse had a lovely broth but lacking in size. Ashley, Brian and Chef are the “dream culinary team”. Amazing service, food and drinks. Interesting and different menu and specials that keep Iron Room fans on their toes. Excellent in every aspect. Best food and drink in the area outside of Philadelphia proper. A true gem. Great place to celebrate an early Valentine's Day together! Bartender rocks. Knows all, tells all. We were there on a Sat. evening early. Food good, service good. I had a wonderful time here. 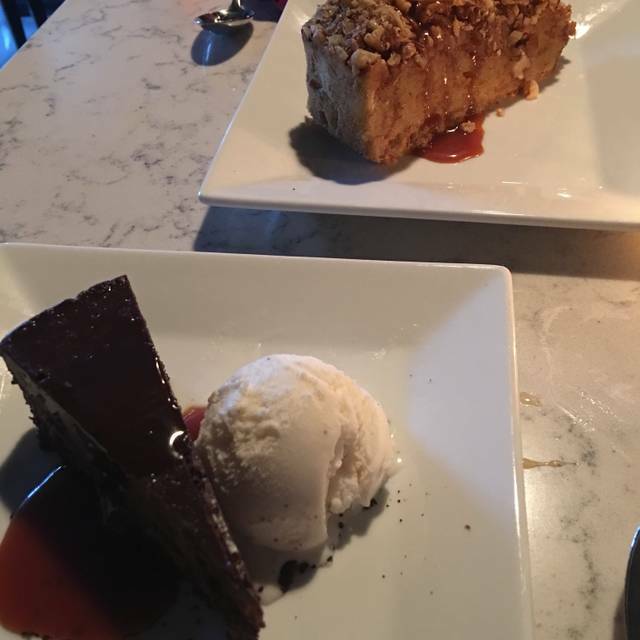 We went on a quiet snowy Friday night and did the 4 course meal with wine pairing option, which was was a great value for the food you get for the price. The atmosphere is so comfortable and cool, and they had a great wine and cocktail selection. I will definitely come back. Our waitress was so fun and courteous we wished she could’ve joined us for dinner! She made excellent recommendations to add on the Mac n cheese and pierogies for the table to share because they are the most popular dishes. I could’ve eaten that truffle mac’n’cheese all night. The key lime pie creek brûlée blew my mind. Everyone in my party was extremely happy with our food, the whiskey flights and the cocktails. Chef and bartender are extremely friendly and very talented. Great wine and beer selection, the fantastic crafted cocktails are a must. Small plates - the goat cheese croquettes, deviled eggs, mac n cheese and the tofu were excellent. Very cool place off the beaten path of the casinos. Server was outstanding in explaining choices and making recommendations. Would highly recommend. Disappointing to say the least, expensive for what you get. 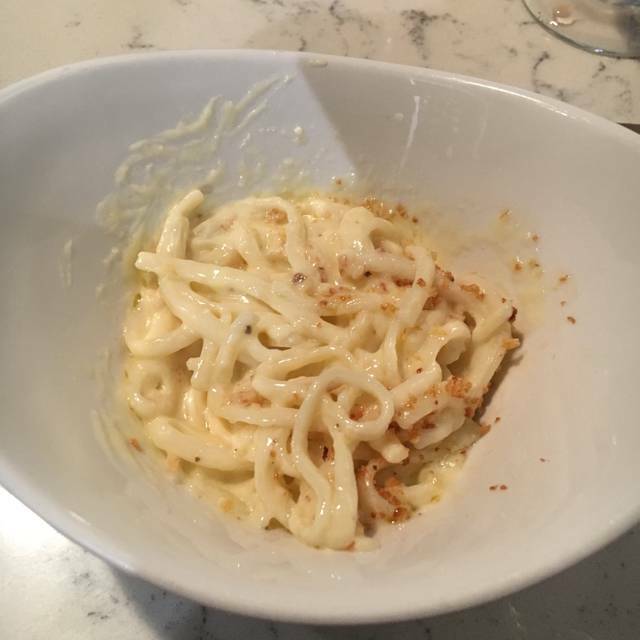 Missing ingredients in the bouabaisse (crab and potatoes), the hanger steak was ok, nothing to write home about, the udon Mac & cheese is the best thing on the menu, by far. The kobe burger is second. Bottom line, if you want a burger or Mac & cheese, it's great. Drinks are good and an extensive wine collection. The atmosphere is nice, trendy and upscale for Atlantic City. Unfortunately, we are local, eat at different places every week, we won't be back! I heard about the Iron Room two years ago and finally went. What a disappointment! Bouillabaisse soup was packed with potatoes and very little seafood, quite disappointing for the price relative to other items on the menu. All else was enjoyable. Went to brunch. $25 all you can eat. All I can say is WOW. If you have empty belly and some time. Definitely well worth your time and $$. Small plates were flavorful and tasty. Not your normal brunch menu. Inventive and interesting. We were the only table in the main dining room we had to sit with our coats on. Wait for drinks too long. Food took too long to get. Then the special rabbit with gnocchi stew gnocchi were like rocks. Felt uncomfortable sending back. Positive side your portions were increased so I had ordered Mac and cheese which was delicious. A bit underwhelming. Food was pedestrian at best. Service was willing and able. Good for lunch or Happy hour. Doesn't measure up to the top restaurants. Dinner was okay, not impressed with the over all experience.